Passion plans? Yes, …and you? Do you ever dream of doing something radically different? Are there nagging suspicions that your life/career trajectory is on a path of its own, with you as a passenger not pilot? Do the words escape and renewal find particular resonance? If no, then chapeau to your good fortune. If yes, then join the club. The sense of entrapment took serious root as I approached the age of 50. It was a snare of my own making, and one that I felt empowered to break, albeit not without disruption. I simply wanted to pursue my own passions, and so I have. This blog is created for others who feel that passion pull, too often lost in dreams of adventures not pursued, destinations not explored, and stuck in rut that has been dutifully dug with one’s own shovel. Whether on a new path of your design or still in the career closet, you are invited to subscribe to this blog and join my Passion Plan Alliance. Through mutual encouragement and support, this alliance can lead to greater confidence in all of us to pursue and realize our personal Missions. So here I sit, a chilled glass of pastis for inspiration, at the end of another sunny day in the south of France. I feel a lifetime away from my decision point 3 years ago in bustling San Francisco. Little things have changed: just the where, what, and with whoms of everyday life. I have adjusted relationships, changed my career, moved across an ocean, and dragged my oldest son Jess along for ballast. Before leaving San Francisco I sold my beloved Miata and abandoned all worldly possessions, save my guitar and prized Laguiole cork puller. We’ve settled into a noble 18th century flat in the historic center of Aix-en-Provence, one of the most charming cities in Europe (humble opinions permitted). This venture is incredibly stimulating, incredibly challenging, and conducted often in a second language. Yes, there is also the overhanging threat of total implosion, my pirate ship splintered upon the rocks. But I wake every morning not quite believing that my favorite place in the world is abuzz just outside the window, I have time to plan and organize my encore career, and most importantly I am in control of my heading. And now you. Is it time to join the club, to journey forth upon your Mission? Even if obligations – real or perceived – prevent the launch today, begin to consider your Passion Plan; the map that will guide you across the sea of change. To be clear, I am not talking about conventional career motivations. Salary and title should play no part in your personal Mission. I’ve promoted myself from overcompensated venture capitalist to underpaid academic and aspiring life coach, and am ecstatic. Restaurateur, writer, winemaker, woodsmith, bed and breakfast owner; none of these will likely bring you prestige and fortune. But they, or whatever occupation or craft you crave to pursue, can bring deep and profound fulfillment. If you die tomorrow, will your purpose have been realized? Will your funeral remembrance capture the life you were meant to live, reflect your true gifts, your personal genius? Okay, that is depressing; let’s say you don’t die tomorrow. Instead you wake up and have to pinch yourself from the joy of what you are doing, where you are living, and whom you are with. What does that life look like? Paint that vision in your mind’s eye. Nothing stops you from putting the first step in place now, today, towards enabling that dream. Through this blog I will be recording experiences and observations from the field, from my new center of operations – the local cafe – in Provence. It will also provide the anchor for the Passion Plan Alliance, a platform for readers to solicit help and share ideas, ambitions, contacts, and advice about the pursuits of their personal Missions. We’ll need a better exchange for that as readership grows. Any suggestions would be appreciated. Finally, this blog will serve as resource center, with links and references to the latest thinking on happiness and fulfillment by Seligman, Csikszentmihalyi, and other thought leaders in this emerging area of study. Please feel free to contribute when ready and inspired. Not inspired yet? Well, try the pastis. Looking forward to more postcards and thought-provoking conversations, Bill! Hi Bill… great to heat from you. It looks like we will be able to initiate very interesting dialogues! Thanks for letting me know about your postcards. Much enjoyed reading pc no. 1! Thx for sharing & look fwd to staying in the flow. You & Jesse should feel free to drop by MAD and take advantage of our guest room anytime (just keep in mind we have a very energetic boxer as part of the family ;). Would love to know how u came to and more about your new focus on academia and coaching for this new phase. Thanks so much for sharing your blog with me. It was a breath of fresh air to read this first entry. I have often struggled with the same thoughts and questions for a couple of years now…and I never knew someone literally two doors down from me was thinking the same. So I would like to ask – when did you JUST KNOW it was time to make a serious change? When did you know you hit that inflection point and what gave you the courage to take the new path? I guess for me, I went to business school looking for some of these answers. I know…in retrospect it was a rather poorly thought-out plan. I just found more of the same, same type of people, same ideas, same ridiculously vain pursuits. But in the process I learned more about myself and at least where I DON’T want to end up. 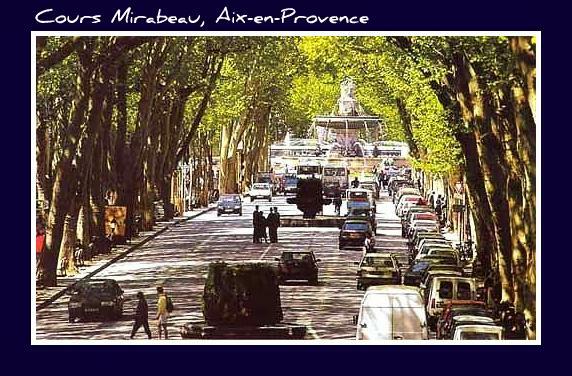 I look forward to continue reading your blog and wish you all the best in Provence! Would love to catch up when you’re back in the states. Being a “few” years your senior, I found your words to be right on point, although all too often suppressed as “wishful thinking” or dismissed as the infamous “mid-life crisis”. Keep it coming. On American football in Europe, I read a John Gresham book “Playing for Pizza” about an American football player relagated to playing the game in Italy. As I finished the book,my first reactions were superficial – there was no dramatic ending, seemingly no point to the story. Only later did I came to the realization that was exactly the point – just be passionate about what you do, regardless of what you do – it doesn’t have to have any more meaning that that, no more economically rewarding than a slice of pizza. Not a lesson taught it academia.